Making use of the site's premier lakeside pitches and ones in the family area we spent a week looking over four motorhomes and six caravans. Sumners Ponds Campsite & Fishery at Barns Green near Horsham in West Sussex was the location for the recent Practical Caravan/Practical Motorhome 'megashoot'. You will see the results in forthcoming magazine issues, on the Practical Caravan and Practical Motorhome magazine websites and on The Caravan Channel TV The Motorhome Channel TV show. We weren't particularly lucky with the weather but it didn't matter because nearly all the pitches are hardstandings and if we needed to we could retreat to the site's excellent café for coffee, lunch and a warm-up. The site occupies just part of a 100-acre beef cattle farm and fishery owned by Simon Smith. The fishery was established in 1987 and the four lakes attract a core clientele of anglers. Simon reckons that over the year about a third of the site's 100 touring pitches are occupied by anglers and you can see why. Those lucky enough to bag a lakeside 'premier' pitch can fish right from their caravan or motorhome's entry step and have all their tourer's amenities to hand or they can use the superb new washblock. Campers will need day tickets to fish, which they buy from reception and those staying for a long period can get a discount. The lakes attract other regulars, too, a local model boat club uses the Ribbon Lake to float their boats every Thursday.  There's been a commercial site here since 2004, before that it was a Camping and Caravanning Club Certified Site. As well as the 100 touring pitches, there are six seasonal pitches and six wooden pods, two of which will accommodate families. The site is divided into three areas with hook-up: Bluebell Park, Ribbon Park and Sumners Park. In addition, there is a field for tents. Families will love it here, "because there is space for everyone," says Simon. There are walk and cycle paths through the farm's fields and woodland, just remember to put your dog on a lead if walking through a field of cattle. Bluebell Park is the pitching field with a play area. There's a washblock here, too, and an adjacent playing field. Events are an important part of the year-round offer and the big one attracting families and taking place over two weekends (7-8 and 14-15 December) in the run up to Christmas is the Sumner Ponds Polar Express. The café is transformed into a vintage railway station, says Simon, and the wheeled elf train or a tractor trailer ride will take kiddies to Santa's Grotto. There are fundraising games and crafts and after the kiddies have seen Santa they can get warm and cosy in the café and watch a Christmas film. There's an egg hunt at Easter, says Simon, and the site hosts a model show featuring cars, boats and trains. The Café by the Lake is a big part of the site's attraction. It is beautifully done with a cosy interior and decking, huge umbrellas and tenting outside with heaters. I made use of the sofas and armchairs under the tenting to sip my coffee or you could relax over a wine or beer - the café is licensed. It is open until 5pm during winter and 5.30pm in the summers, staying open until 10.30 at weekends during the high season to serve dinner. The breakfast/lunch food offer comprises sandwiches, ham and eggs, lasagne, liver and bacon. And there's a book swap and TV. It makes an ideal base to visit the south coast, Brighton, Bournemouth, Chichester, Arundel, Petworth, Parham and Goodwood , it's also handy for visiting London. You can get the train from nearby Horsham station. We enjoyed our visit and reckon you will too.